"Jom yamcha!" is an everyday phrase we use in our Malaysian vocabulary. Whether 'tarik-ed' and frothy or fragrantly steaming, the tea-drinking culture has been part and parcel of my social life which I can't live without. 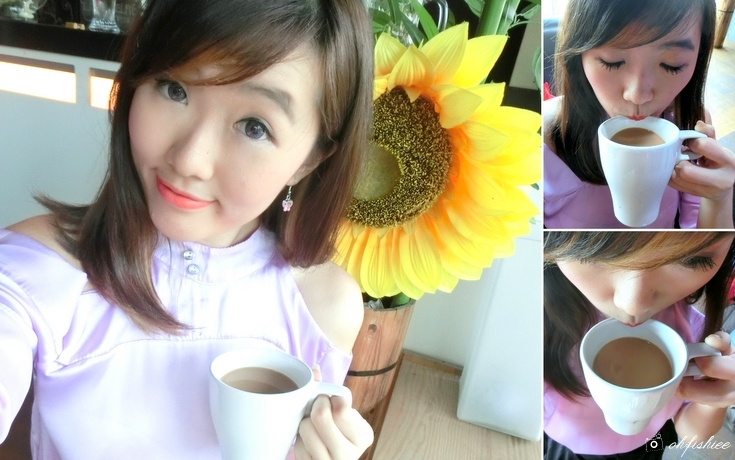 Having said that, we will feel guilty sometimes for the extra sugar in each cup of coffee or tea. 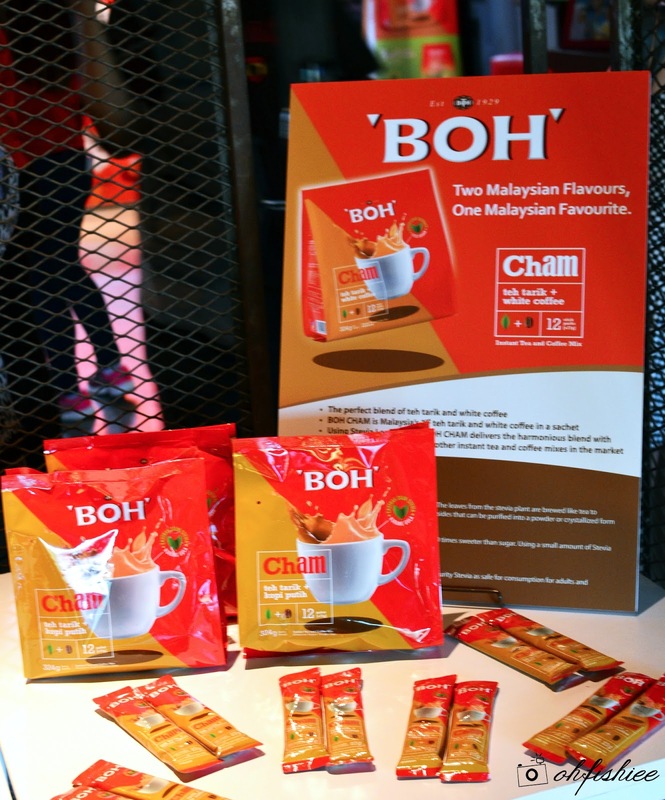 Fortunately, BOH has heard our concerns and therefore introduces the latest Malaysian 'Cham' and BOH 3in1 Less Sugar for a healthier cuppa, minus the calories and artificial sweetness. 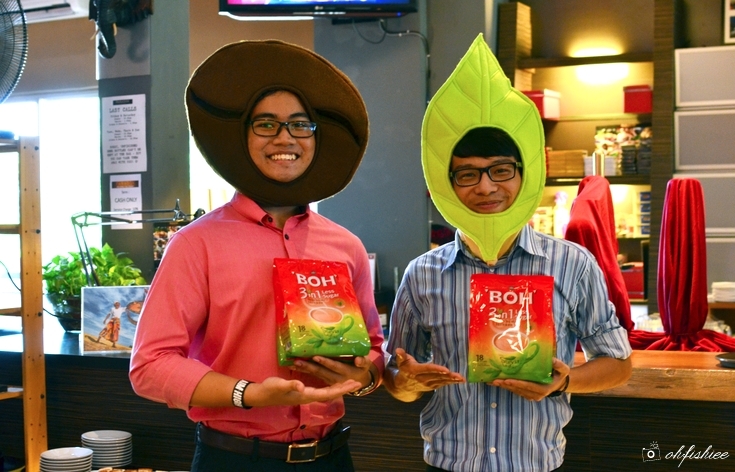 When two Malaysians' all-time favourites-- Teh Tarik and White Coffee meet each other, they blend perfectly into the new, unique BOH Cham that is healthy and low in calories, because of the Stevia leaf extract infused into it. I have no idea how great this Stevia leaf is until I experience it myself! It is a natural plant extract thar is naturally sweet with zero calories and most importantly, safe for consumption by both adults and children. 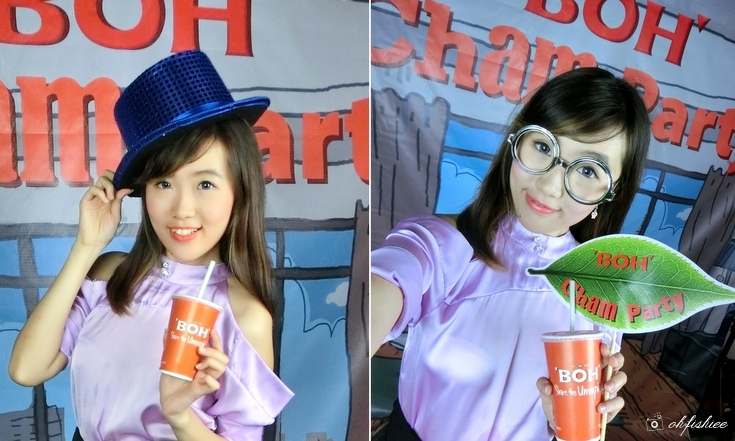 Personally, I love how the BOH Cham exudes robust aroma of coffee and produces smooth and milky texture in every sip. 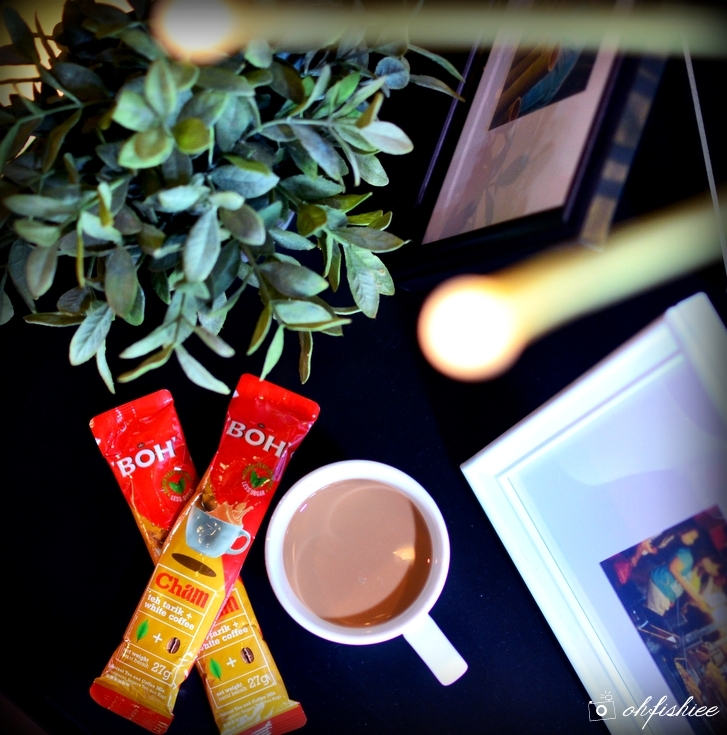 Package wise, each convenient sachet allows enjoyment at anytime and anywhere you want. It's equally great when served cold too, especially during scorching hot afternoons! Sharing the spotlight is the all-new BOH 3-in-1 Less Sugar which is also infused with Stevia Leaf extract. 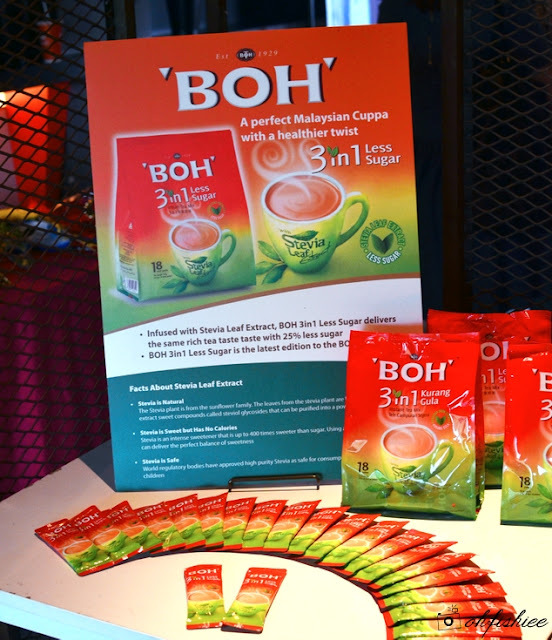 Newly added to the family of BOH's already popular 3in1 range (Original, Vanilla and Caramel), it has 25% less sugar than its siblings. 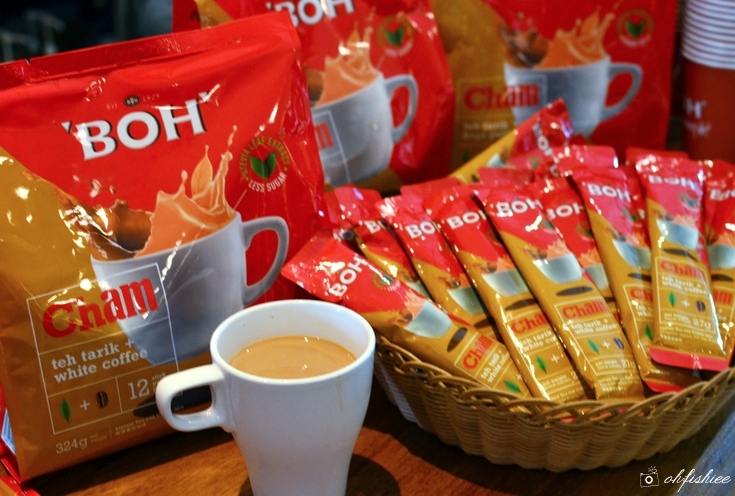 Perfect choice for the healthy conscious, while promising the same level of rich taste and sweetness of the 'Original'. Mr. Chen Chaw Chang, Head of Marketing and Export, BOH Plantations Sdn Bhd gives his welcome note and explains the milestones BOH has achieved with its 85 years experience in the tea industry. 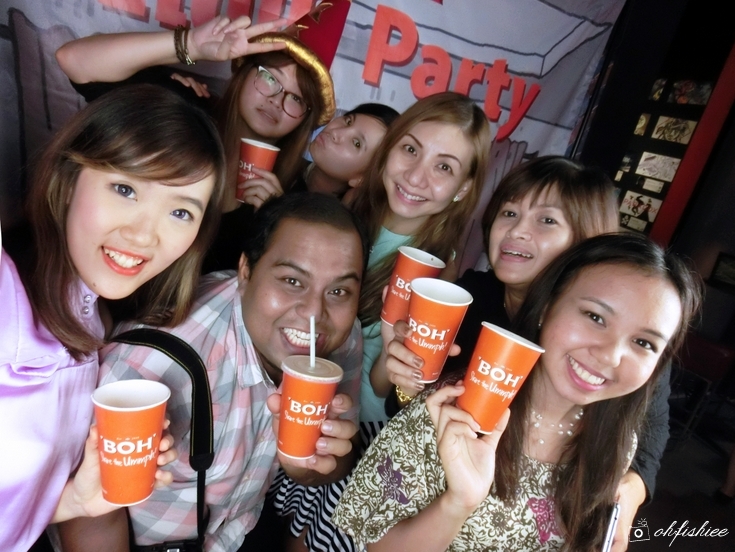 Well, certainly BOH will never disappoint us in its authentically Malaysian beverages' quality and flavours. Let's toast to Hari Merdeka ke-58! are available at major supermarkets, marts and convenience stores nationwide.